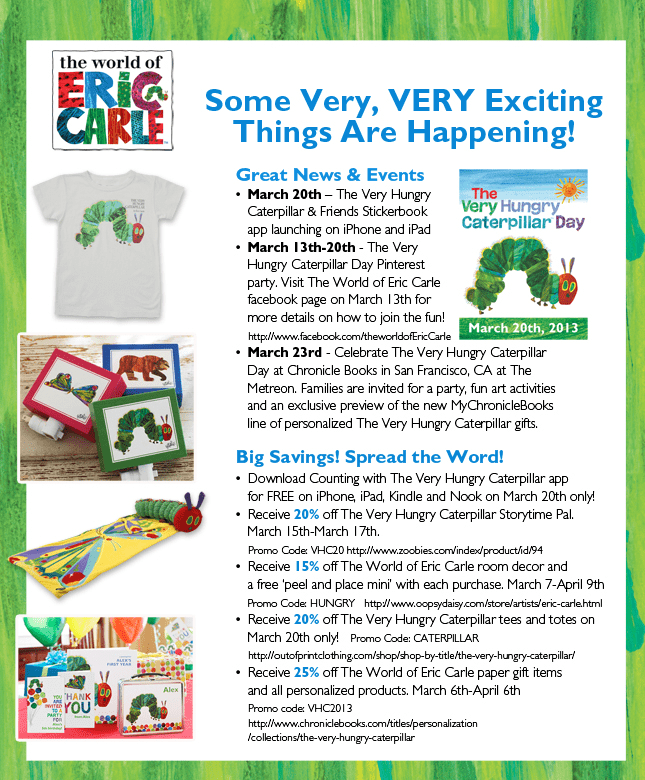 The month of March is a very special time for the World of Eric Carle, as they count down to The Very Hungry Caterpillar Day on March 20th. Many schools, libraries and bookstores will be hosting events in honor of this exciting occasion. The Very Hungry Caterpillar Day is a celebration of Spring inspired by Eric Carle’s iconic story. Here are some activities and promotions to help celebrate this occasion. Previous Post: « The Hunger Games: Official Capitol Portraits! !